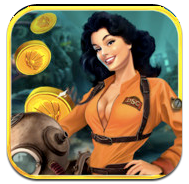 Deep Sea Catch — Mobers.ORG — Your Daily Source For Mobile FUN! 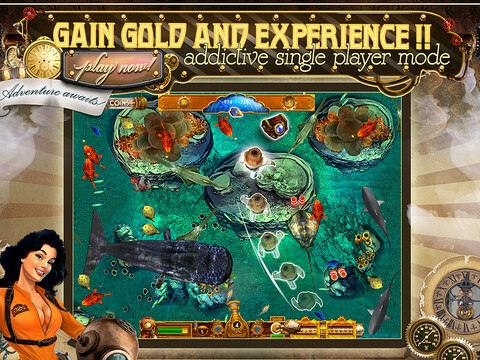 Deep Sea Catch is an exciting arcade shooting game based in the watery depths of the ocean. 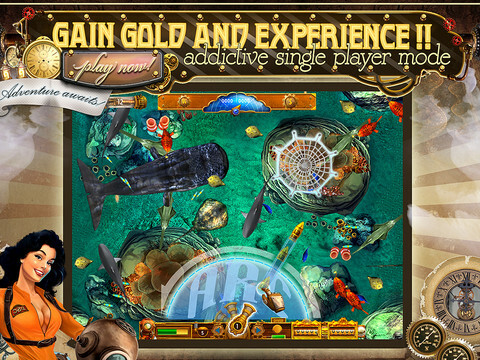 Its steam punk style is a visual treat while the player powers up their sub-marine ship’s gun turret to catch wondrous ocean fishes. 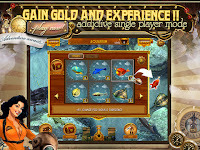 The game is more than just about catching fishes and filling up the player’s pockets with gold coins. 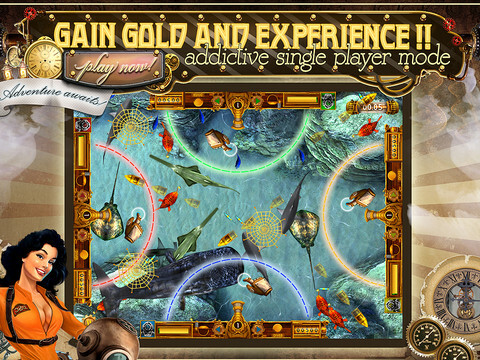 It includes a diver for the player to retrieve elusive treasures from the sea bed which provide many surprising virtual rewards. Players have an aquarium where they can keep fishes they have caught. Each fish will grant them benefits in their next fish catching session. These benefits come in an assortment of bonuses from double damage to double experience points etc. In addition, a player can navigate around the sea by using the motion sensor of the device to adventure around the map, looking for treasures and the mysterious secret locations such as Sharkfest where no sea creatures dare dwell except the fearsome great white and hammerheads. 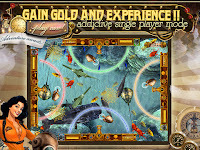 The game will enthral players with its addictive game play and aesthetic graphics and its multiplayer option will allow up to four players on the iPad for more family fish fun entertainment! Players who level up will have access to more power ups and ability to catch rare fishes. GET IT HERE! IT'S FREE ! !